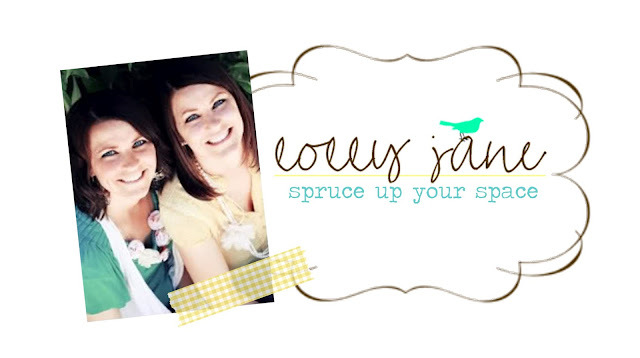 But first, let’s introduce ourselves: We are twin sisters Kelli & Kristi of Lolly Jane, an eclectic DIY blog filled with craft tutorials, home decor projects, home improvement tips, furniture revamps and occasionally a recipe or two. We would love for you to stop in sometime and say hello :)We live in sunny Arizona where summer is just about in full swing and ice cream/popsicles are already stocked in the freezer… something our kids look forward to. 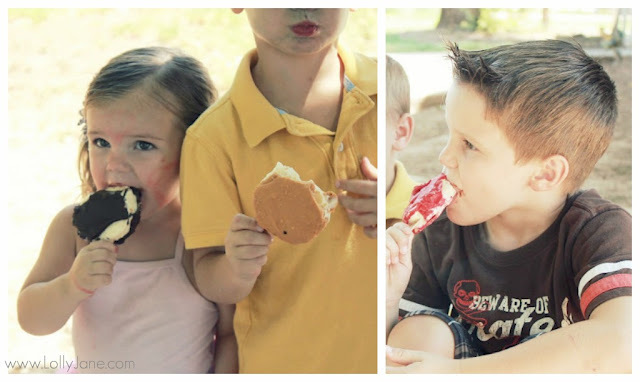 When we were kids, we loved going to Dairy Queen and cooling down with hand-dipped dilly bars. 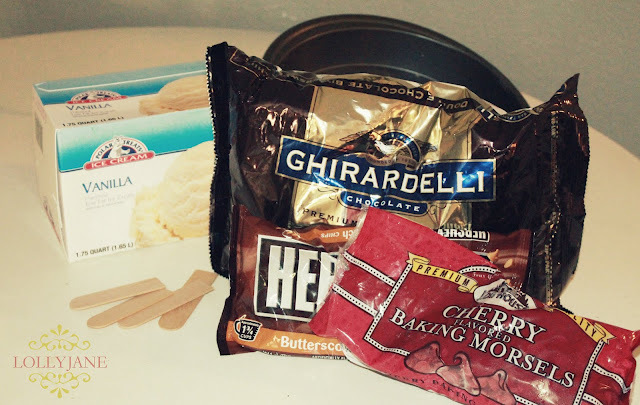 Since I already had chocolate chips at home, I snagged a bag of butterscotch chips and skipped away… dilly bars come in 3 flavors you know: cherry, butterscotch & the classic chocolate.Since they’re a trio we had to make ALL the flavors ;) To make your own dilly bars,you’ll simply need vanilla ice cream, a pie pan, chips & a few tongue depressors. Be prepared to have patience and lots of it! 1. Spoon ice cream into pie pan and let harden.Wait 1 hour or until ice cream is firm. 2. Once ice cream is hard, use round cutter* and insert tongue depressor. *Or something similar; thank you Pampered Chef measuring cup!More waiting… about 30 mins. 3. Separate chips into bowls. 5. 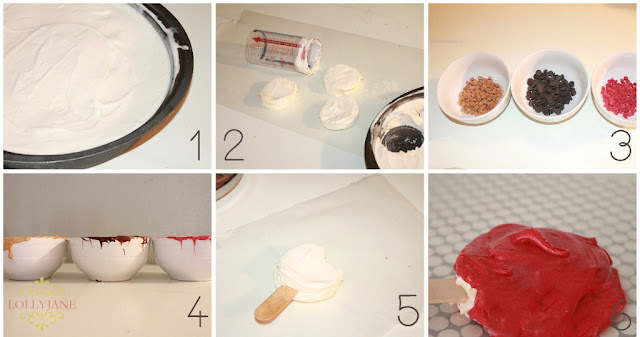 Insert tongue depressor into ice cream & spread a thin layer of melted chips on wax paper and put the ice cream bar on top. 6. Work fast and simply pour the melted chips on the bar until it’s covered and rush frantically place the bars back into the freezer. If you want to add the classic dilly bar swirl, now’s the time to do it- just take a spoonful of the melted chips and pour into a swirl shape. Easy peasy! Those puppies get hot so wait at least 2 hours until the ice cream re-freezes inside the bars.Note: We cut off the excess hardened shell to make it look more like a dilly bar vs. a melted pile of delicious flavored chips. To do this we used a warm knife and it worked like magic! 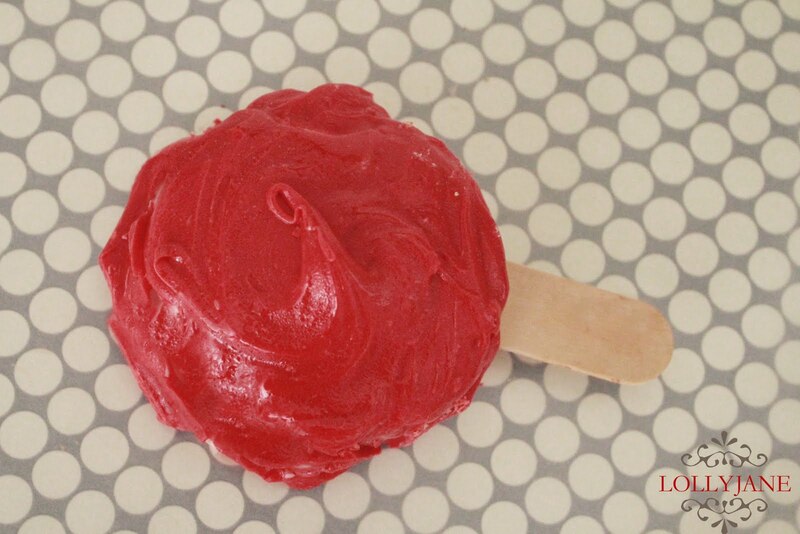 Last step, give to happy kids on a warm day :) We would ♥ for you to pop by Lolly Jane sometime and check out some of our recent tutorials or feel free to chat with us on FB, Pinterest or Twitter. So cute! Love the pic of the kids! Thanks for sharing. This looks delicious! I love summer desserts! 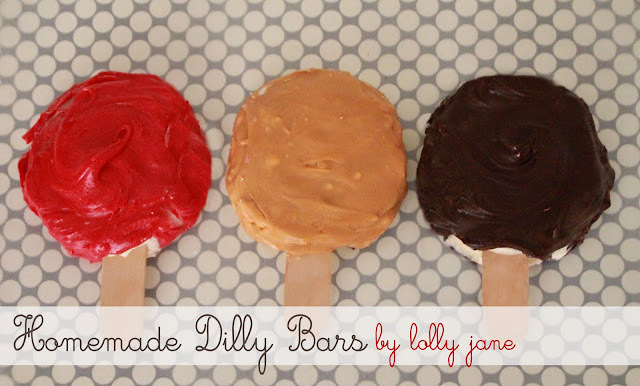 I don't even know what dilly bars are, but these look fantastic! 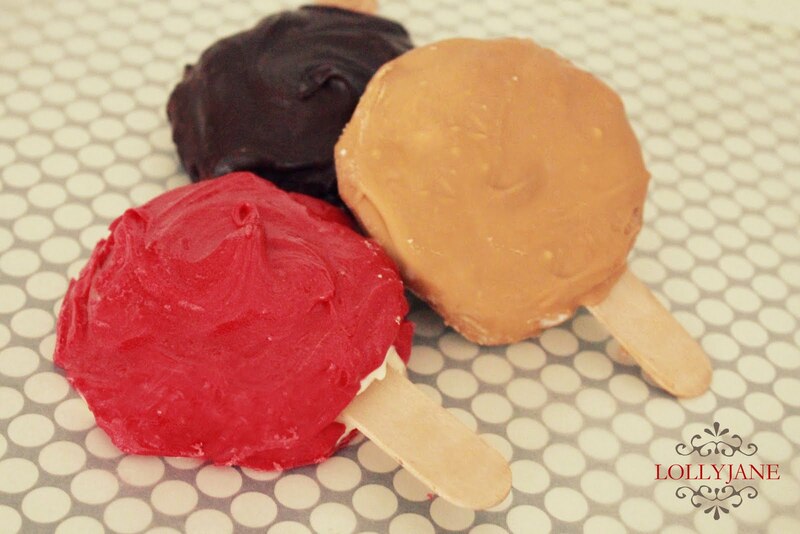 Yummy, can't wait to try them this summer. Is it pretty easy to find cherry chips? Thanks for your comments, everyone! :)PS: Lauren K, you can find cherry chips year-round at Walmart! Good luck!